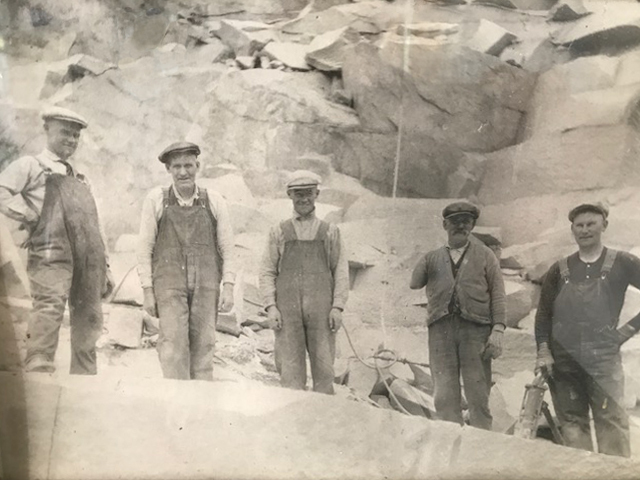 Immigrants from Scotland, Italy, and Sweden who possessed stone cutting skills came to New England in the late nineteenth century to work in the burgeoning granite industry in Maine and New Hampshire. Among these hardworking men was my great-grandfather, who helped lay the foundation for hundreds of skyscrapers and public buildings throughout the United States. The work was hard and often dangerous. Attention to detail was essential and a trustworthy, skilled, experienced crew was the key to safety and productivity. The lessons I have learned from past generations have inspired me to create Granite Capital Management, a new approach to retirement planning and investment management where attention to detail and trust lay the solid foundation for a brighter future for you and your family. At Granite Capital Management, we promise competitively priced investments with complete transparency. You will not see expensive asset management programs or high priced variable annuities with investment restrictions. If insurance products are needed, they will only be presented after thoughtful analysis of your needs and carrier pricing. Success requires planning and preparation, and it’s not one size fits all. We want to hear about your life and your goals. Then, we’ll calculate targets and tailor recommendations to meet those specific needs. This is not a cookie-cutter portfolio. Granite Capital offers comprehensive financial planning services through Lincoln Financial Advisors, a broker/dealer and registered investment advisor. Lincoln Financial Advisors uses National Financial Services LLC, a Fidelity Investments Company, as their clearing firm. Mitch formed Granite Capital Management in 2018 and has been a registered representative with Lincoln Financial Advisors since 1989. The focus of his practice is investment management and retirement income planning for affluent families, individuals and small business owners. Mitch graduated in 1976 from Upper Arlington High School and received a B. A. from The Ohio State University in 1980. He also is a graduate of the Dale Carnegie Sales Leadership course qualifying as an assistant instructor. Mitch was a member of the 2001 Class of Leadership Columbus and served on the board of the Dublin Chamber of Commerce from 1998 to 2001.